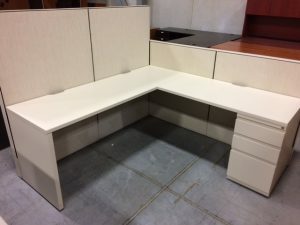 Haworth Compose Series modular workstations with tan lined-pattern panels and cream trim. 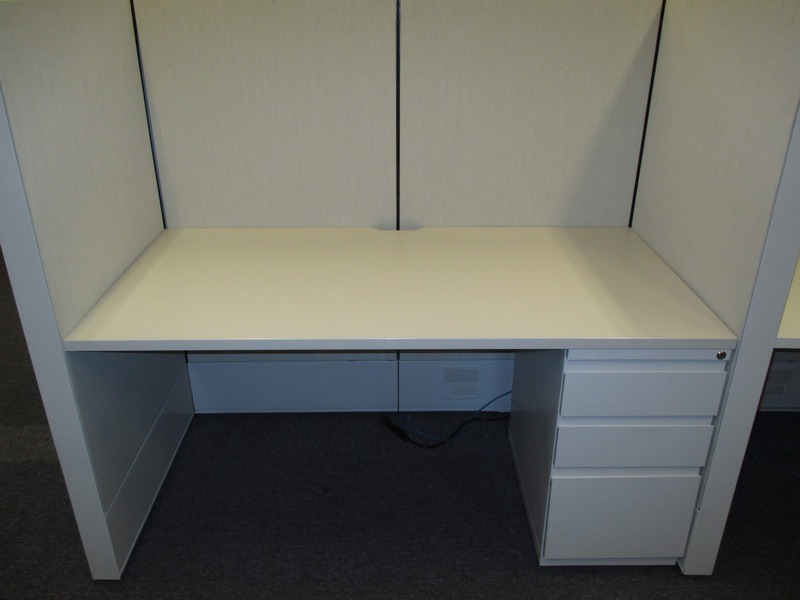 Available in 5′, 6′, 7′ sizes with 58″ or 42″ panel heights. 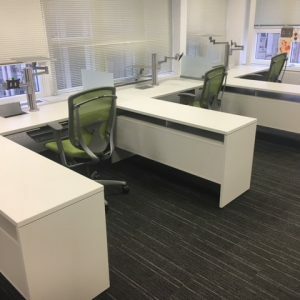 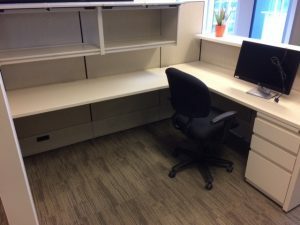 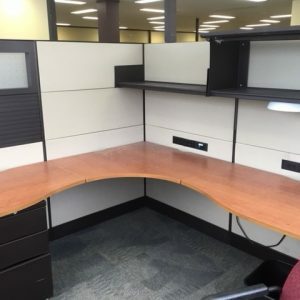 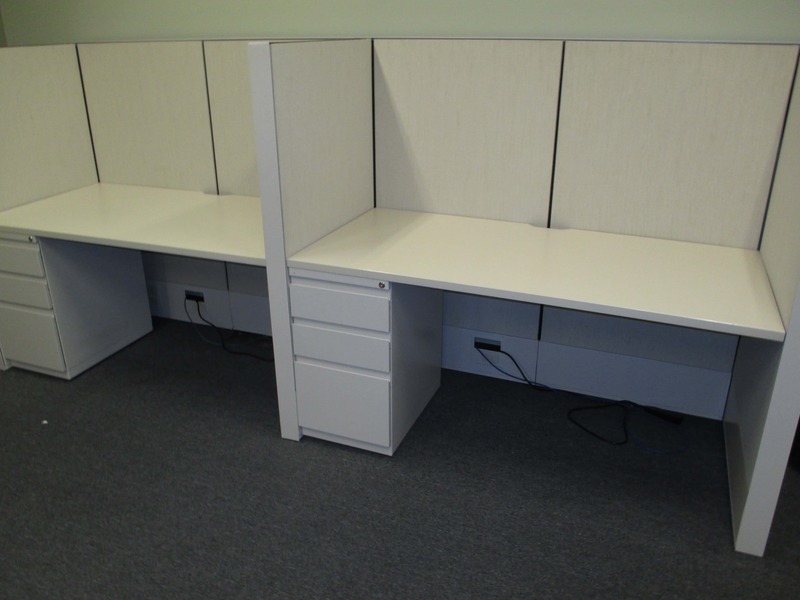 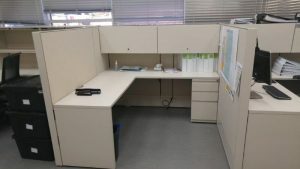 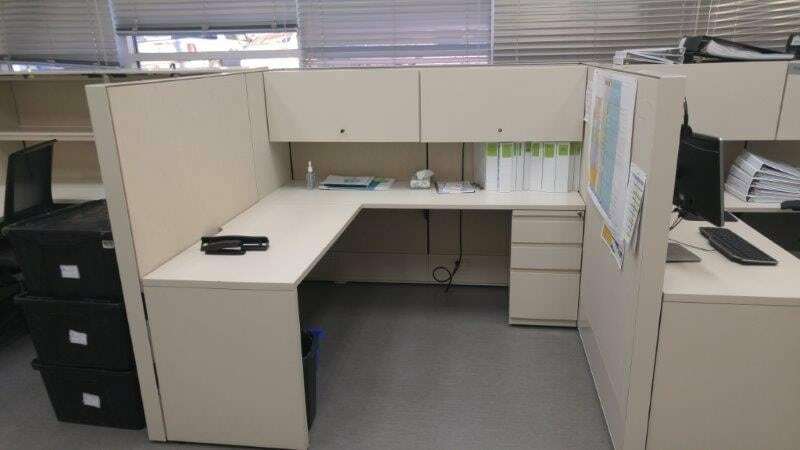 Features single Box/Box/File pedestal cabinet, and overhead cabinets. Can be used as touchdown/hoteling workstations. 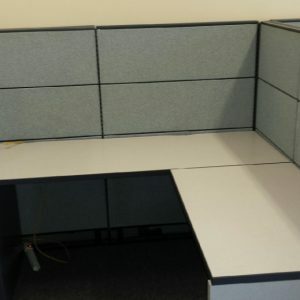 Comes in 48″, 60″, 72″ widths. Quantity available depending on size required.